IzzyElfBlog: Deedy is Scouting for US!!! Deedy is Scouting for US!!! As we told you before, we have been looking for a place where we Izzies can go on vacation and blend in. We also told you that Deedy (that's Dorothea Jensen to you) wanted to come with us to escape the North Pole-like weather where she lives. Well, she went one better than that: she already Went Warm, plus she looked around for a possible place for us to go. Without her. We wondered if this meant that S.C. (or a statue of him) was in jail. But she says that the railing is there just to keep S.C.'s statue safe from graffitti-ers. We said she should tell whomever is in charge that there is little risk of defacement because even graffitti-ers don't want Santa mad at them. They want full stockings on Christmas morning, too. In any case, Deedy's suggestion is a good one. So here is a close up of S.C. in all his glory! 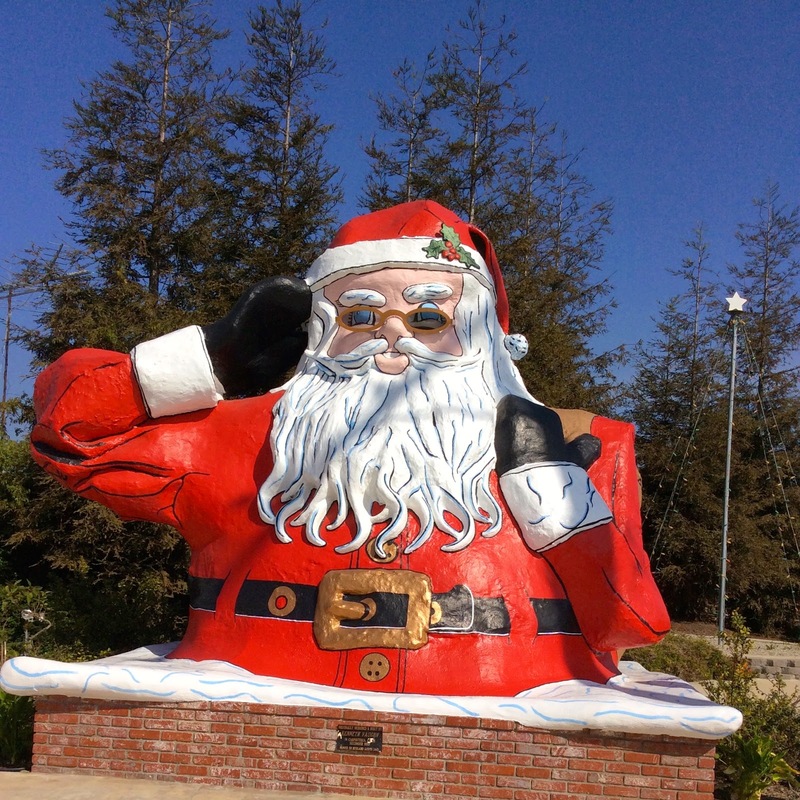 We are all chuckling at the fact Santa is wearing sunglasses! Santa says, however, that we all have to get 'em before we leave on vacation. Now we are all hard at work getting our special safety seats ready before we take off for Someplace Warm! Anyway, much love from the Very Excited Izzy Elves!